We never keep any payment details on record. 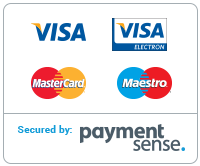 All information regarding your online transactions and identity is kept confidential through our payment gateways Paymentsense and PayPal. The total cost of your order is the price of the products at the time the order is placed plus the postage fee based on a flat rate for Ireland and the UK (see below). If you process an order in error, please contact us immediately by emailing orders@formalityonline.com quoting your order numbers. 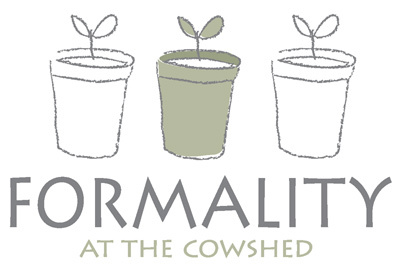 Formality at the Cowshed reserves the right to change the prices of products listed on this website at anytime. Delivery for all online purchases resulting from the Formality at the Cowshed website are handled by An Post, the state-owned provider of postal services in the Republic of Ireland. Currently, we only deliver items to the Republic of Ireland and the UK (United Kingdom). We plan to expand to other countries in 2017. Republic of Ireland: €4.95* per order | 2 to 3 working days. UK (United Kingdom): €14.95* per order | | 5 to 7 working days. * Additional delivery charges may be applicable for larger, bulkier items. All returns are at the discretion of Formality at the Cowshed and require approval with a Returns Authorization Number before the product is returned. Please contact us immediately by emailing orders@formalityonline.com should you require a RNA. Unless referred to otherwise, copyright of our artwork and the information on this web site (including but excluded to; logos, graphics, images) is owned by Formality at the Cowshed. The contents of our web site are intended solely for your personal, non-commercial use and no portion of this site may be reproduced, duplicated, copied, sold, re-sold or otherwise exploited for any commercial purpose that is not expressly permitted by us.